In many Residential Care facilities across the country, loneliness, helplessness and boredom account for the bulk of suffering among the elderly. While a senior living in a care facility can be in good health physically, the three “plagues” mentioned above can affect the human spirit, and might lead to depression, increased frailty, and even death. 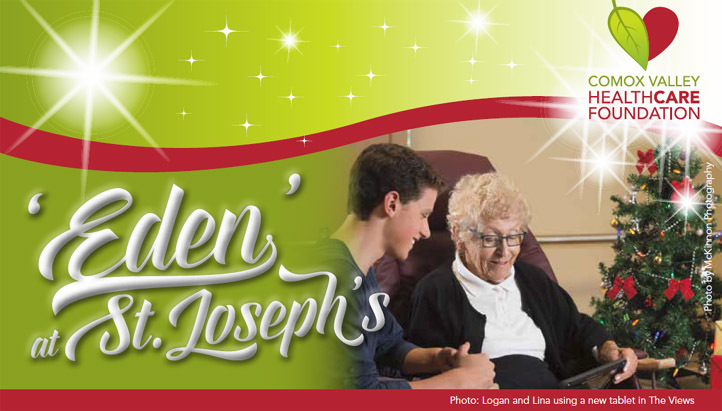 This Christmas St. Joseph’s Hospital is proud to announce its implementation of the Eden Alternative philosophy of care at The Views, its Residential Care facility. This philosophy improves the human condition by creating a community where life revolves around close and continuing contact with plants, animals and children, and it’s these relationships that provide a pathway to a life worth living. Already, Eden philosophies have been implemented at The Views. There is a pet budgie living in Oceanview, as well as art therapy, gardening, fish tanks, pet therapy and a variety of intergenerational programs. Throughout the implementation of many programs, residents are given choice and opportunity for purposeful activity. 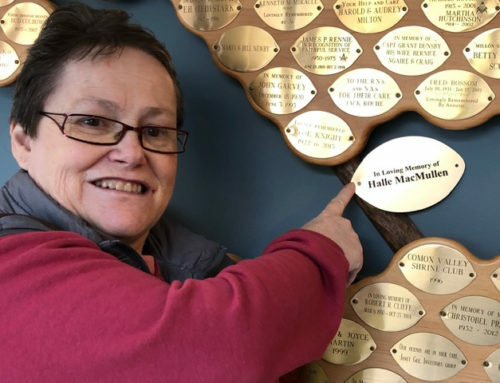 As you know, Comox Valley healthcare is evolving to meet the growing needs of our community and this includes St. Joseph’s, which will continue to operate with a vision to expand in the areas of Residential and Hospice Care after acute care services move to the new hospital next fall. St. Joseph’s goal is to develop an innovative campus of care for seniors, with the first phase of these plans including a new, purpose-built residential and hospice building that will reflect this new Eden philosophy of care while meeting current standards, such as single rooms, secure outdoor access and designs that support residents with dementia. The ultimate vision for Eden at The Views is to move to a Human Habitat and away from a medical institutional culture. Creating a person-centered care model is a never-ending process. Decisions will be based on the input from residents, and processes that will be implemented include an enhanced dining experience, participation in youth programs, the introduction of customized technology with specialized, easy to use applications, taking care of pets and contributing to the community as a whole. Please consider making a donation to Residential Care this Christmas and help bring Eden to The Views. We sincerely thank you for your support, and from our hearts and homes to yours, we wish you a Merry Christmas and a Happy, healthy 2017.